From left, Gov. Larry Hogan, Robert Neall and Lt. Gov. Rutherford during yesterday's announcement. From Gov. Hogan's Facebook page. From left, Gov. 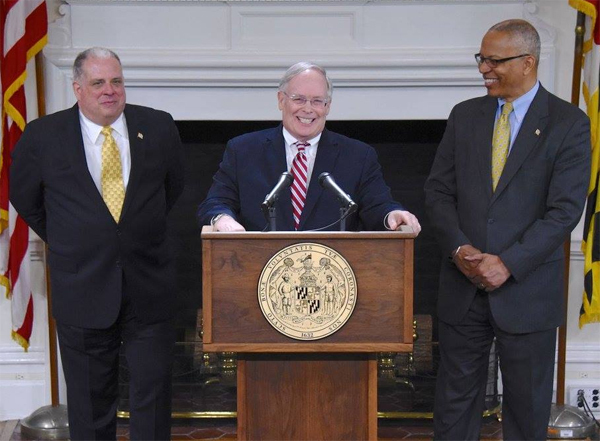 Larry Hogan, Robert Neall and Lt. Gov. Rutherford during announcement of Neall’s new job. From Gov. Hogan’s Facebook page.